To decorate, shape, scrape, scoop, these tools make the most mundane entree or dessert a work of art. Metal cutter with wood handle. 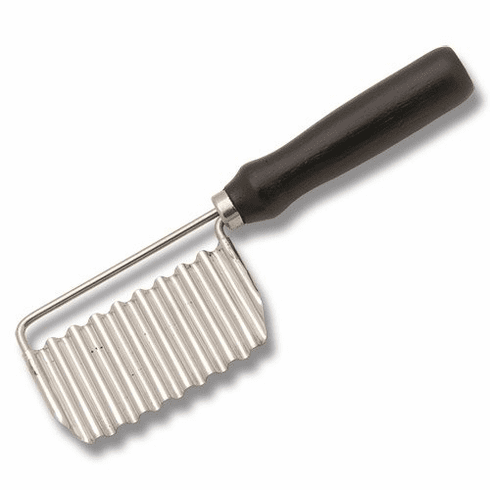 Use to create crinkle cut and waffle cut garnishes.